The premise of this book is that to be as successful as you can and to be as safe as possible if / when your organisation chooses to ‘downsize’ or ‘outsource’ you need to become indispensable. You need to become a Linchpin. In the context of this book a linchpin in organisational terms is similar to an actual linchpin; a key component that prevents the organisation (wheel) from coming apart. In fact in the sense Seth uses the term a linchpin goes a step further and actually drives the success of an organisation. – People who are ‘linchpins’ love their work and put their best into it – this is his reference to turning your work into art. So find a role / job / organisation where you can be challenged and love the work you do. – Overcome your fears; How many times have you seen a way of solving a problem others missed and not mentioned it? How many times have you had an idea in a meeting and kept quiet? Overcoming your fears and contributing your best will make you more fulfilled and of course more indispensable! The new world of work described in books like this and Daniel Pink’s “A Whole New Mind: Why Right-Brainers Will Rule the Future” that is based on intellect and ideas is / will be a great place to work. Here’s hoping we all find or create these places of work! Overall I found this an interesting and useful book, the only downside is that it can come across as a bit too preachy / self help-ish, this is perhaps worse for us more reserved British types than our American counterparts. If you are curious about the content of the book, or just what he means by Bad Science then I highly recommend checking this speak out. I loved this book, a totally refreshing look at how our brains work and how we learn. This is totally different from the usual self help fodder and is actually based on sold science about how our brains are wired and how we work. This book is from the well regarded Pragmatic Bookshelf – Pragmatic Programmers series of books and as such is written in a style that should appeal to technical folk. While this book is clearly aimed at programmers, I think it can apply to anyone who wants to better understand how their brain works and who wants to improve their ability to learn and remember things. The author introduces us to how our brains work – their architecture – how they are ‘wired’. 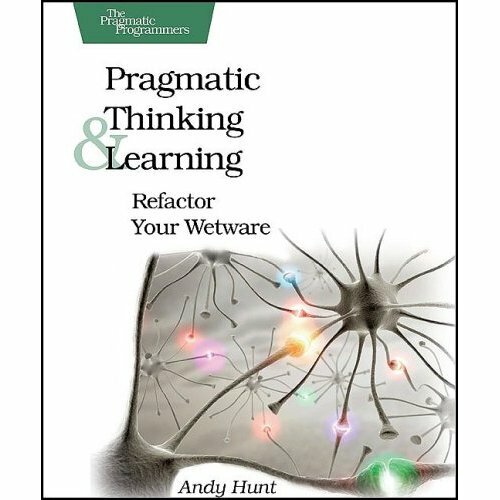 There are then explanations and practical examples of how to take advantage of this knowledge – how to refactor your wetware! The book is an easy and interesting read, at a minimum you may learn some more about how your brain works and some basic concepts of cognitive science and neuroscience. Try some of the suggestions and you may benefit a whole lot more. Well my first review (well impression as I read it some time ago) is for a non IT related book, but one I think worthy of mention. I would definitely recommend this book to anyone with a general interest in science, studies using actual scientific method, and especially if you are like me just generally fed up with the lies and half truths fed to us every day by so called experts. 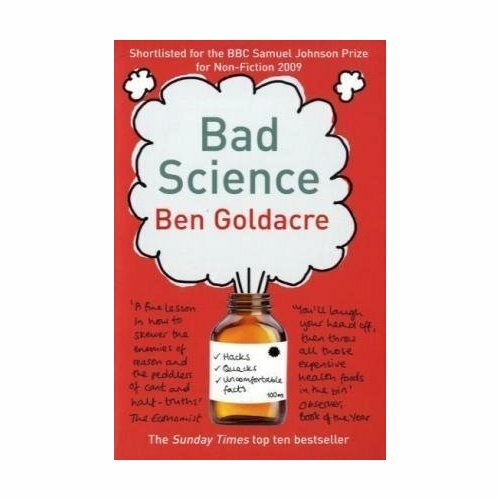 If like me you get particularly annoyed by the preachings of people like Gillian McKieth you will definitely find this book entertaining as well as interesting as Ben Goldacre pulls no punches in highlighting the issues with their supposed research and qualifications! The book also covers many areas backed by either incorrect or entirely false science including Homoeopathy, ‘issues’ with the MMR vaccine, and Nutritionism – highlighting just how false and at times harmful fake science can be. The book will also provide you with great ammunition should you ever struggle with winning arguments on any of these topics with ill informed friends! A minor downside is that I found the tone of the book to be a bit to ‘preachy’ in places, but getting past that this is a book I wholeheartedly recommend. I read quite a lot of books relating to technology / architecture / security along with some about learning and motivation, presentation advice and popular science. So I thought it might be of interest to some readers of this blog to see reviews and thoughts about books I have read, especially if they are in an area you have an interest in! To aid the organisation of this blog I have added a new category ‘Book Reviews and Impressions’ look out for this if you’re interested in my thoughts on books you may want to read. The reason I have called this category reviews and impressions is because some will be proper full reviews while others will likely be much shorter brief overviews / impressions of a given book. I’ll freely admit to having stolen the impressions term from Richard Bejtlich who writes the Tao security blog along with some great books as he uses the review / impression distinction in a similar manner. I’ll start by posting thoughts on a few books I have read recently, so these may not be 100% thorough as they are not books I am reading currently. I’ll then continue the process by reviewing books as I read them.